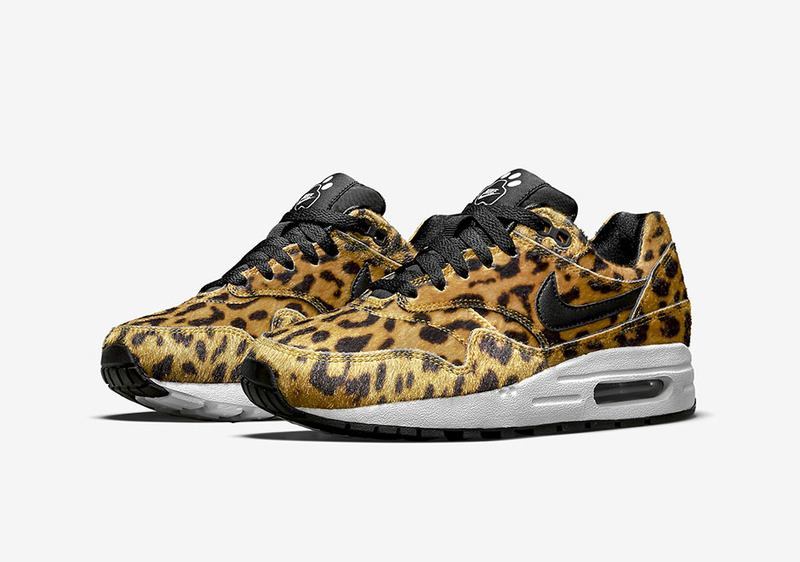 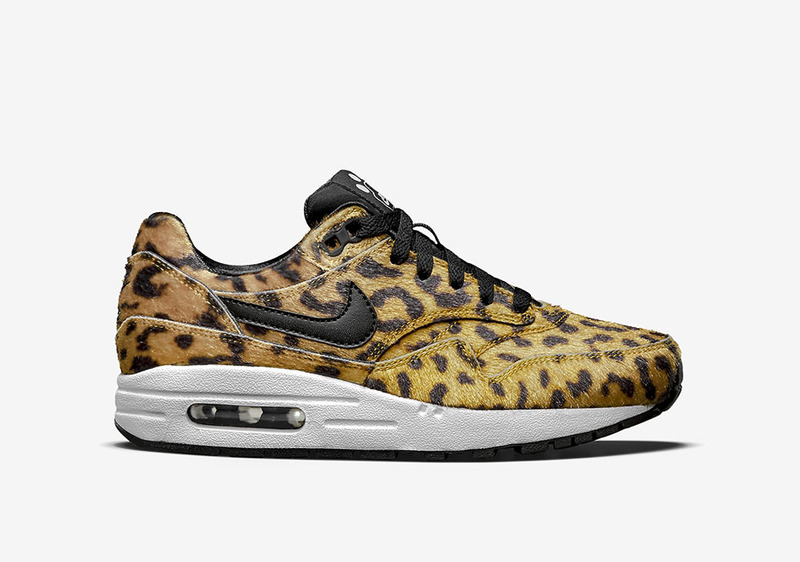 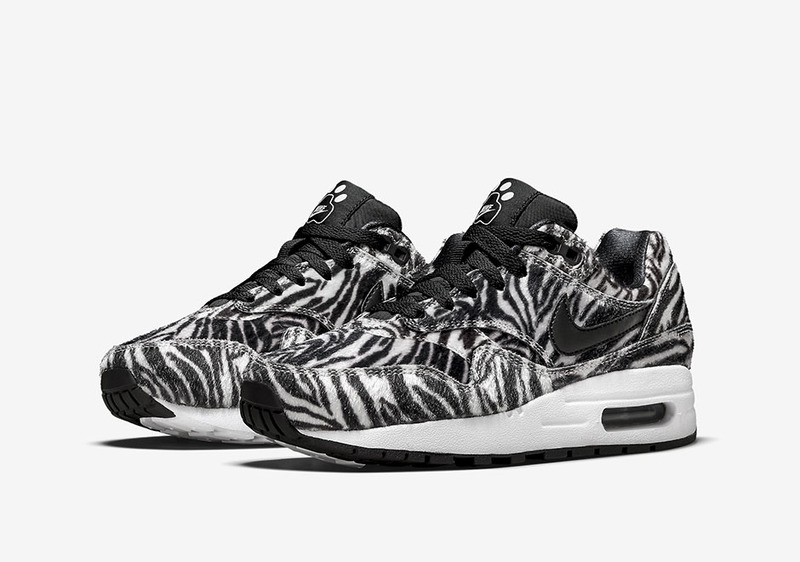 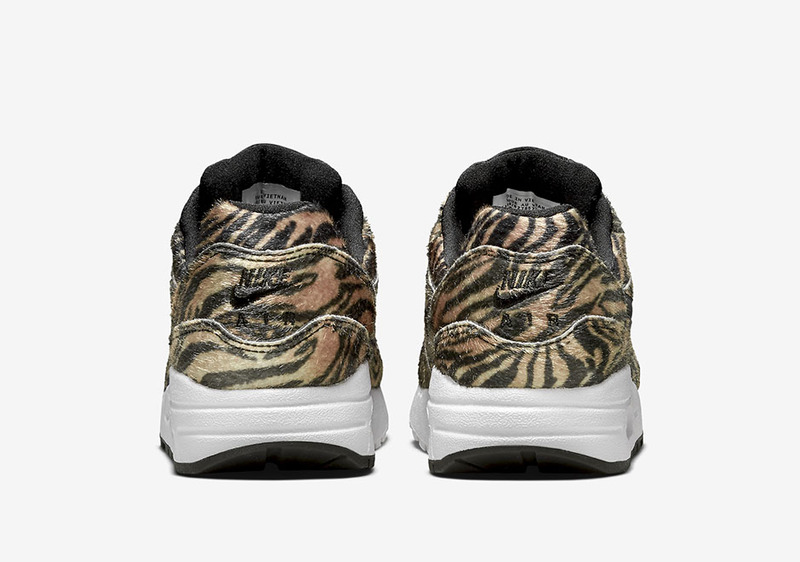 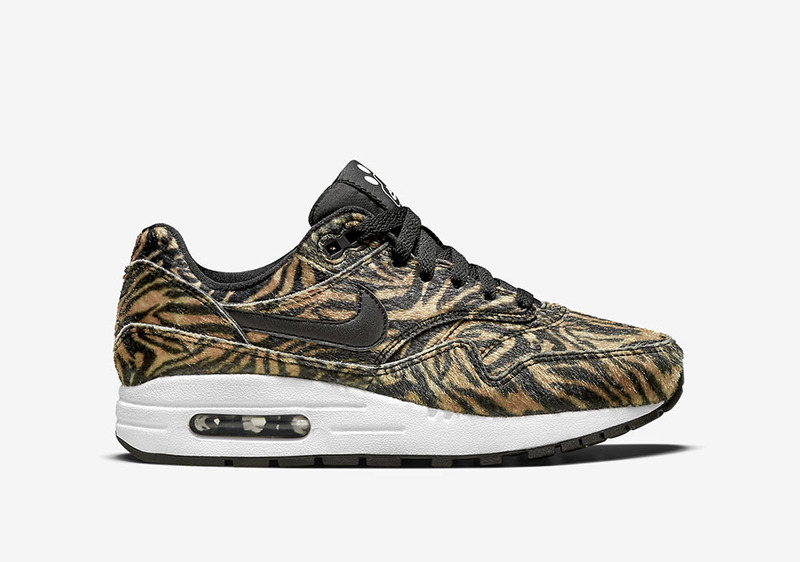 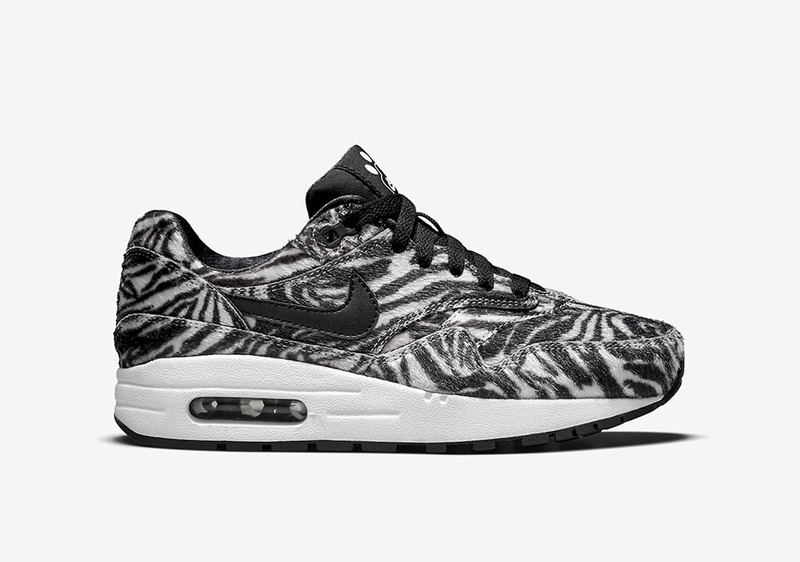 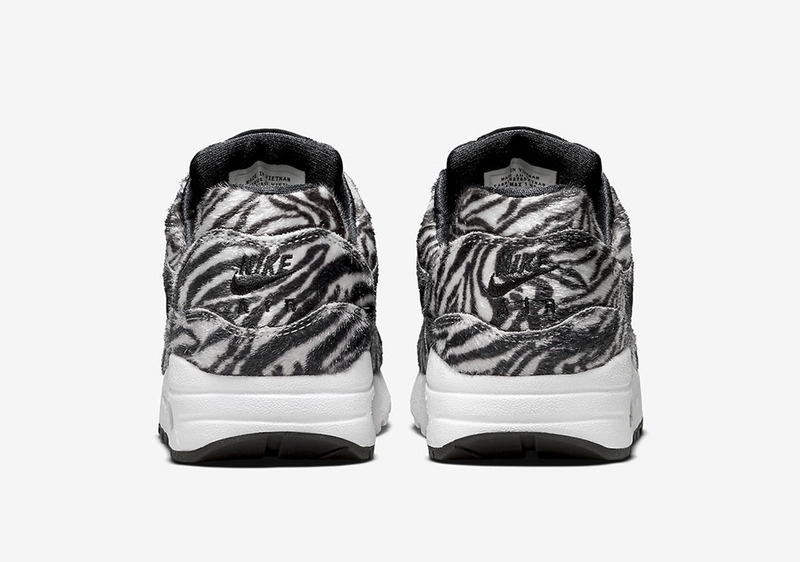 Nike Sportswear takes the Air Max 1 on safari this fall, with three exotic animal prints on the classic silhouette exclusively in Gradeschool sizing. 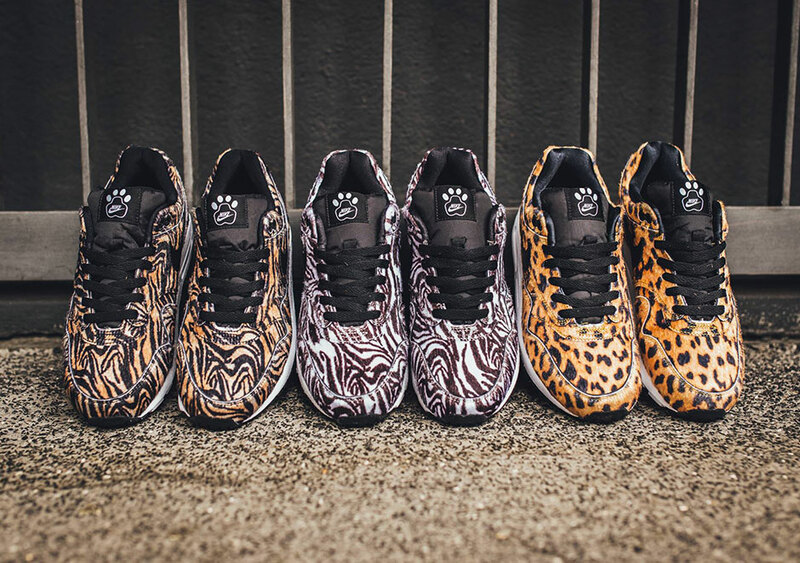 But there’s more to these animal prints than just the pattern, as each of the leopard, tiger, and zebra prints feature a faux fur upper to extend their wild look. 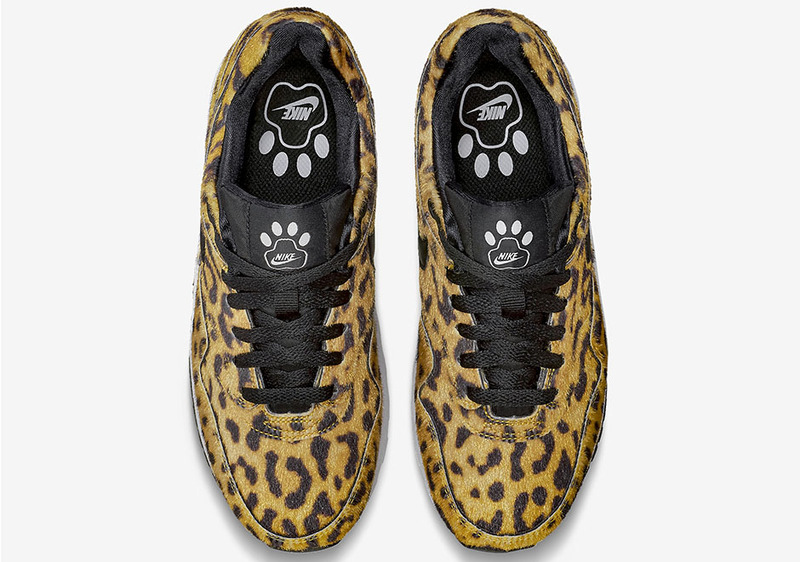 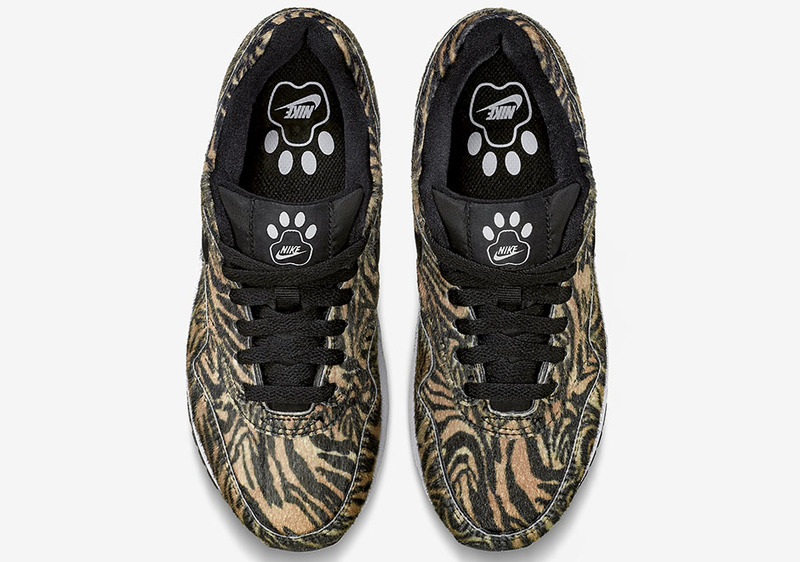 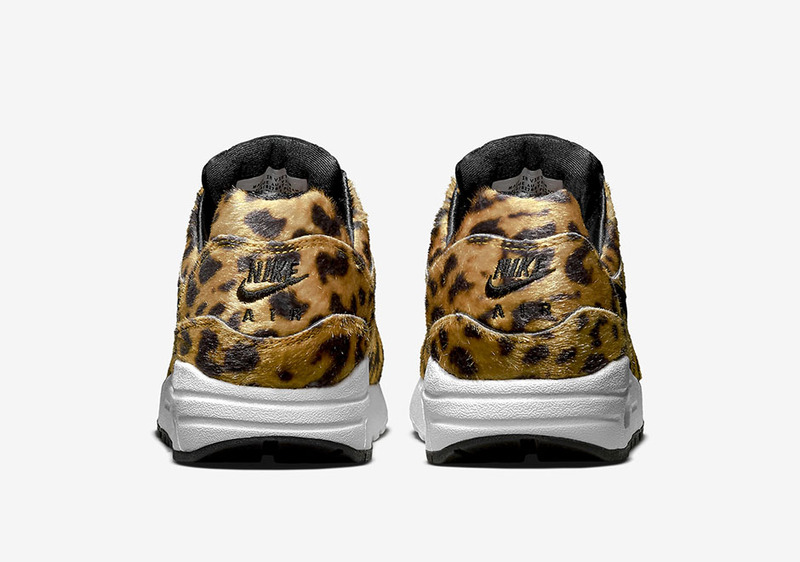 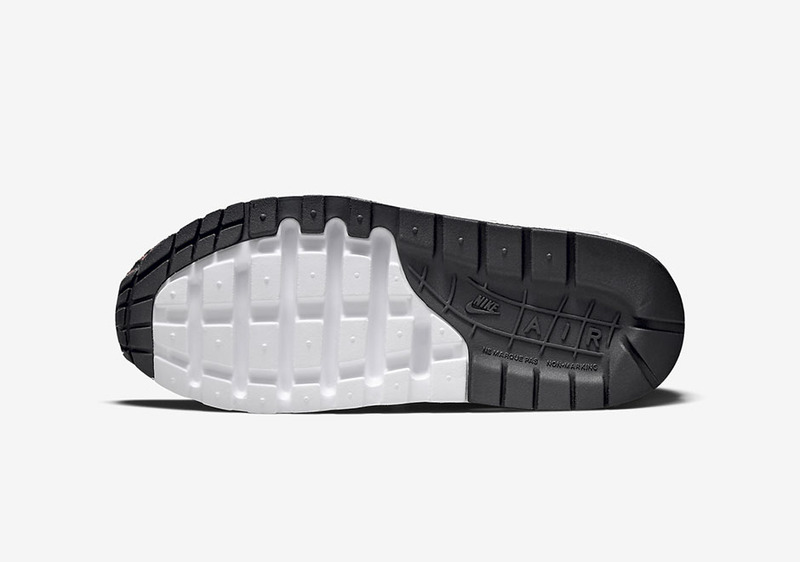 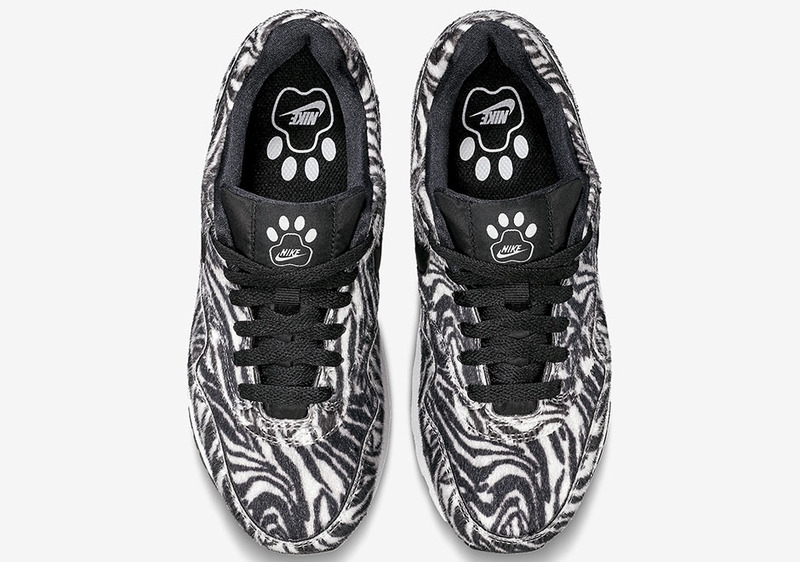 Continuing the animal theme is a paw print Nike logo on each tongue and insole. 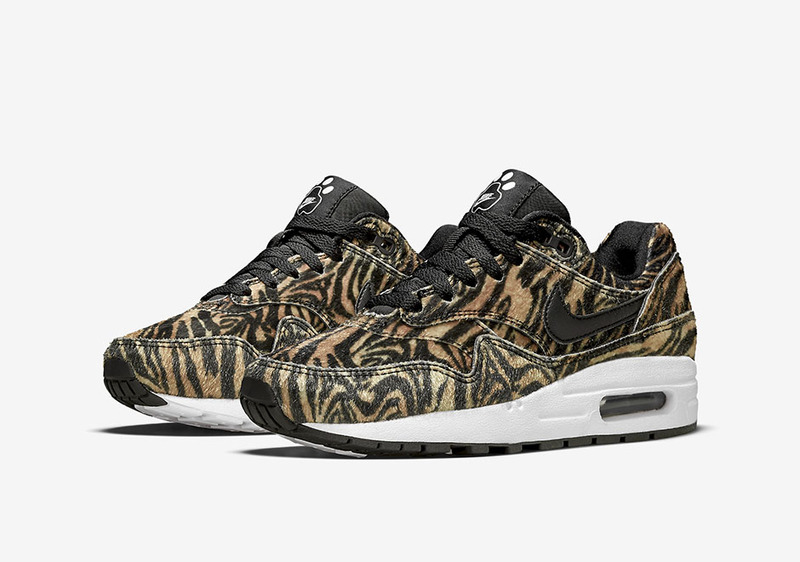 Look closely at the sole, and you’ll see that it’s been modified with more foam for a lighter and softer ride for smaller feet.. Expect the Nike Air Max 1 GS “Zoo Pack” at select retailers and Nikestore beginning October 22, 2015.